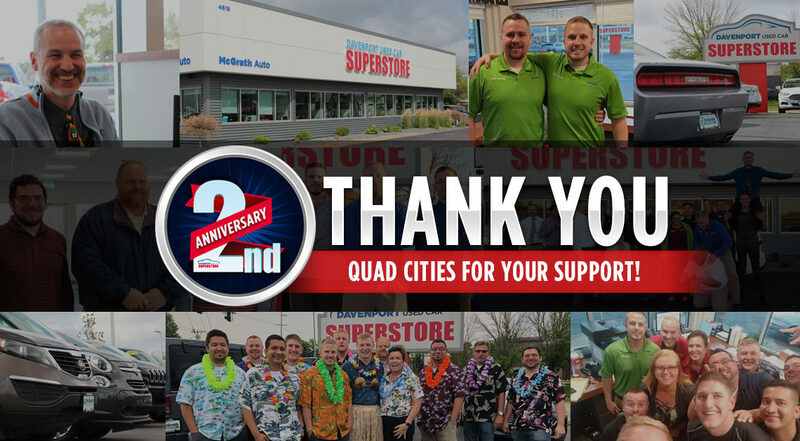 September 8th marked two amazing years since we became part of the Quad Cities area. We are humbled by the amount of generosity and friendliness we have received from the community. We wanted to take a moment to share some of our favorite moments since we have been a part of the community. We want to recognize our 2 year anniversary this Saturday, September 29th, with Dwyer and Michaels live from 9-11am. We will be giving away two Iowa Hawkeye tickets in addition to these donated raffle prizes. Terri VanOpDrop from Triple A is donating two memberships, Kyle Taylor from Car Image Solutions is offering up a free full detail, Jan Wagner from Shelter Insurance is donating a $25 Amazon gift card, and Todd Sebeen from Addecco Staffing has contributed $25 for Rave Cinema. Along with all of these awesome prizes we will be a GIANT Connect Four game, a QB Challenge football toss deal, bounce house, bags, and grilling! A huge thank you to Quad Cities for making these two years so great!